Michigan DNR Fishing License – Link to Online Fishing License Purchases and/or Location of Retailers to Obtain a Fishing License. Saugatuck 7-Day Weather Forecast – 7-Day detailed weather forecast provided by the National Oceanic and Atmospheric Administration (NOAA). South Haven to Holland Lake Michigan Forecast – This forecast covers the area that we regularly fish. The near shore forecast will give you a good idea of local wave conditions. Holland Lake Michigan Buoy – This buoy reports wave action, depth temps, and other climate data from just outside the pier at Holland, Michigan (just 6 miles north of the Saugatuck pier head). Has a Live Camera too. South Haven Lake Michigan Buoy – This buoy reports wave action, depth temps, and other climate data from just outside the pier at South Haven, Michigan (25 miles South of the Saugatuck pier head). Has a Live Camera too. Southern Lake Michigan Buoy – This buoy reports wave and other climate data from the central part of Lake Michigan. Lake Michigan Sea Temperatures – A daily satellite image of Lake Michigan showing temperature gradients of the surface water. Something that we look at closely when deciding where to fish. *Note: When cloudy temperatures do not read the water, indicated temperatures are inaccurate. You can also see Lake Michigan temperature forecasts here. 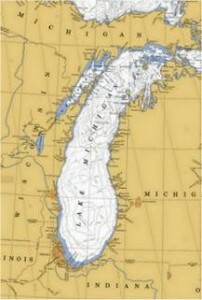 Lake Michigan Currents – A really neat way of seeing why Saugatuck is such a great fishing area. Currents bring nutrients for bait fish and bait fish to predator fish. Click on the picture to be directed to the chart of currents for today. Michigan Great Lakes Salmon and Trout Fishing Regulations – Click Here to view the current regulations for fishing on Michigan waters in the Great Lakes for Salmon and Trout. Saugatuck-Douglas Harbor – A camera that shows the local harbor picture. Spyglass Hill Camera – A camera that looks out from the Holland pier heads (7 miles north of the Saugatuck pier head). Great camera to look at lake conditions. St. Joseph Beach Camera – A camera shot of the live wave action in St. Joseph – 45 miles South of Saugatuck. South Haven Pier Camera – A camera shot of the live wave action in South Haven – 25 miles South of Saugatuck. Grand Haven Pier Camera – A camera shot of the live wave action in Grand Haven – 30 miles North of Saugatuck. Lake Michigan for you to explore. Michigan Lakeshore Charter Boat Association – As a past President of this association I highly recommend fishing only with those Charter Operations that are members. 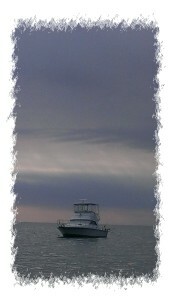 The boats involved in this association work hard to protect our fishery at a local, state, and governmental level. Each one is giving back a portion of your fees to promote the fishing that we all enjoy. Michigan Charter Boat Association MCBA – Great organization that helps us maintain our USCG drug program that includes random screenings of our Captains and Crew. This organization helps us lobby for our fishery at the State and Federal level. As a devoted Captain to our fishery we suggest using only charter companies that are members of the MCBA.